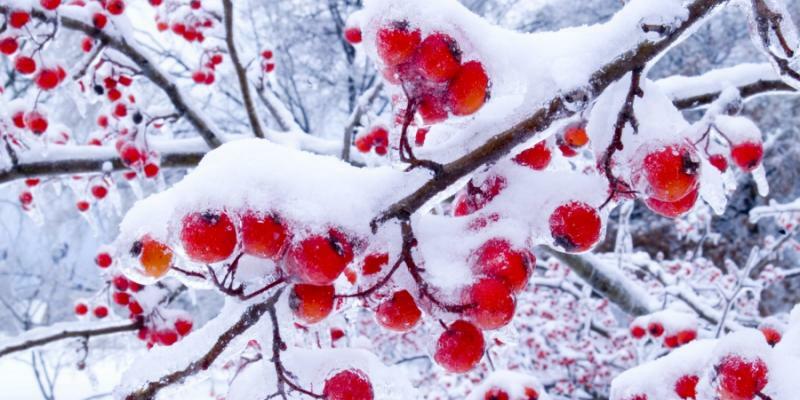 If there is an excess of snow or ice on the plants and shrubs in your yard, there are several actions you can take. 1) Gently Sweep: Use your hands or a broom and very easily sweep in an upward motion. This will loosen the snow and make it so that it falls from the plant to the ground. 2) Don’t Wait for Accumulation: Removing snow is much easier when there is less of it. Much like raking leaves, if you do it in phases rather than waiting for all the leaves to fall, it is likely to be much easier. 3) Don’t Mess with Ice: Trying to remove ice from a branch is never a good idea. It is almost guaranteed that the branch with break. 1) Keep Off the Grass: As we have said before, the best way to ensure that your lawn looks awful when spring rolls around is to allow foot traffic on your grass when it is covered in snow or ice. 2) Say “No, Thank You” to Salt: Often your lawn or shrubs can be exposed to salt that is spread on the road or sidewalk. If this happens to your plants, be sure to hose them off as soon as the temperature returns above freezing. 3) Pruning: Once the ice begins to melt, head out to your yard and access how badly your lawn has been damaged. If you notice any broken branches, be sure to prune them immediately.